Deborah obtained her degree in Legal Management from the Ateneo de Manila University, graduating top 17 of the Legal Management Department in 2008. She graduated from the Ateneo de Manila University School of Law in 2012, where she ranked seventh in her class, and obtained a silver medal for academic excellence. She joined C&G Law 2013. Deborah handles tax and customs matters for multi-national and local clients. She also has assisted in government procurement and build-operate-transfer projects of the Philippine Government, advising for the private sector with respect to these projects. She also assists in providing general corporate, civil, environmental, and other advisory services and appears before the trial courts and other quasi-judicial agencies for civil and administrative cases. 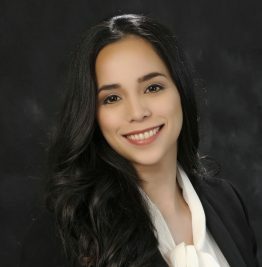 Deborah has experience in advising and assisting clients in Philippine tax laws including filing appeals and protests before the concerned local tax agencies; settlement of estate taxes; obtaining tax clearance certificate; and completing post incorporation requirements with the Bureau of Internal Revenue. She also handles customs related matters which include, filing claims for refund, application for the return of cash bonds before the proper customs offices; providing advice on requirements for accreditation as an importer; and obtaining tariff classification rulings for importations, among others. Assisting bidders in the Public-Private Partnership for the Mactan-Cebu International Airport project of the Department of Transportation. Assisting bidders in the Public-Private Partnership for the Integrated Transport System – South Terminal Project of the Department of Transportation. Assisting bidders in the public bidding of Public-Private Partnership project for the Cavite-Laguna Expressway and Laguna Lakeshore Expressway Dike Project of the Department of Public Works and Highways. Advising and assisting foreign and local investors in Philippine law requirements for their proposed investments. Assisting in arbitration proceedings conducted abroad and pursuant to the Rules of Arbitration of the International Chamber of Commerce between companies in the energy sector. The Accountability of International Financial Institutions and Their Agents under the United Nations Convention Against Corruption (2012), Juris Doctor thesis, Ateneo de Manila University School of Law.